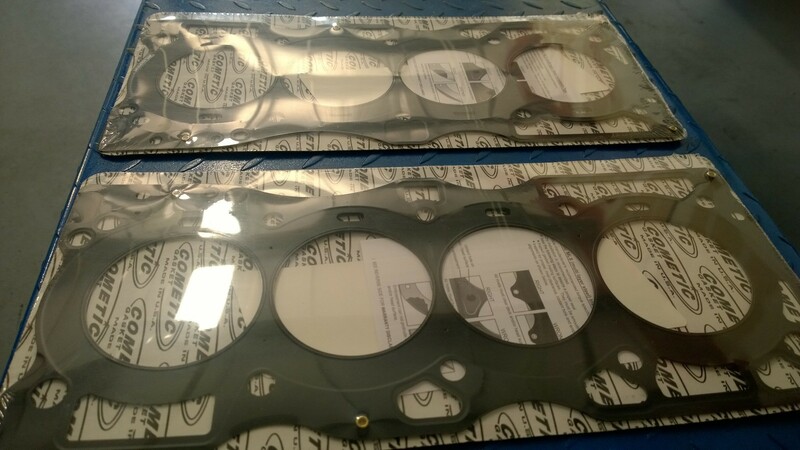 Now available for all MR16 engines - Cometic Tri Layer headgasket. Provide your MR with the ultimate in protection during high boost runs with a cometic HG. Tested by 2J under the harshest conditions. Provide maximum sealing performance for today’s high output engines. MLS gaskets have increased strength because they are comprised of multiple layers of stainless steel; which also creates the ability to rebound and resist corrosion. The outer layers are embossed and coated on both sides with Viton (a flouroelastomer rubber based material that is heat resistant to 250 C/ 482 F). Viton is designed to meet the demands of a variety of harsh sealing environments, load conditions, and surface finishes. The center or shim layer is uncoated stainless steel, which can be varied to accommodate multiple thickness requirements.